Orlando Visitor: WDW's Haunted Mansion Waiting Line Visuals. 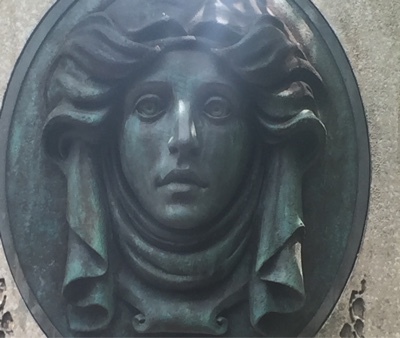 A spooky observation of one of many hidden visual Disney tricks. 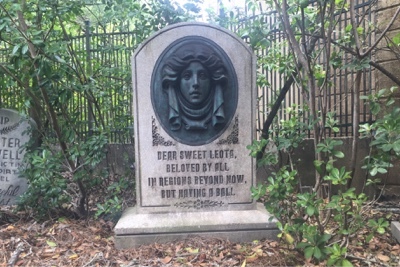 As you're waiting in line for the amazing Haunted Mansion attraction at The Magic Kingdom, Walt Disney World Florida, look carefully at 'Leota's gravestone, do her eyes really open?!? One of the many clever imagineering treats that you can find as you look closely at buildings, constructions, carvings, sculptures, models etc. When walking through the Disney theme parks. 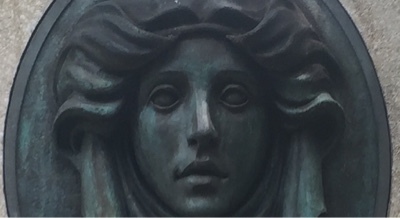 And of course, always be on the look out for 'Hidden Mickey's'! Labels: Disney Imagineering. Hidden Mickeys. Walt Disney World. Orlando. Florida. Haunted Mansion.